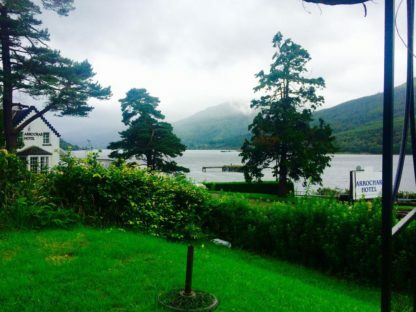 Situated on the shores of Loch Long in the village of Arrochar, Rowantreebank Bed and Breakfast is a 200-year-old cottage within the Loch Lomond and the Trossachs National Park. Free private parking available on site. Toiletries, a hairdryer, drinking water and cookies or chocolate are provided in each room. Ironing facilities are available for guests. Long stay guests can make use of the laundry services at additional cost. You will find a shop just 100 yards away, and 2 restaurants and a pub within 200 yards. Argyll Forest Park can be reached in a 10-minute drive, where guests can enjoy the rocky climb of the Cobbler for some spectacular views. Inveraray Castle and Jail can be reached in a 30 minute drive from property. The nearest airport is Glasgow Airport, 33.2 miles away.